Since 1990 Select Airparts is your source for genuine Hawker-Beechcraft parts at reasonable prices. As one of the largest independent Hawker-Beechcraft parts suppliers in the world their inventory covers all models from Musketeer through Hawker 800’s. They also carry de-icing equipment for most general aviation aircraft. 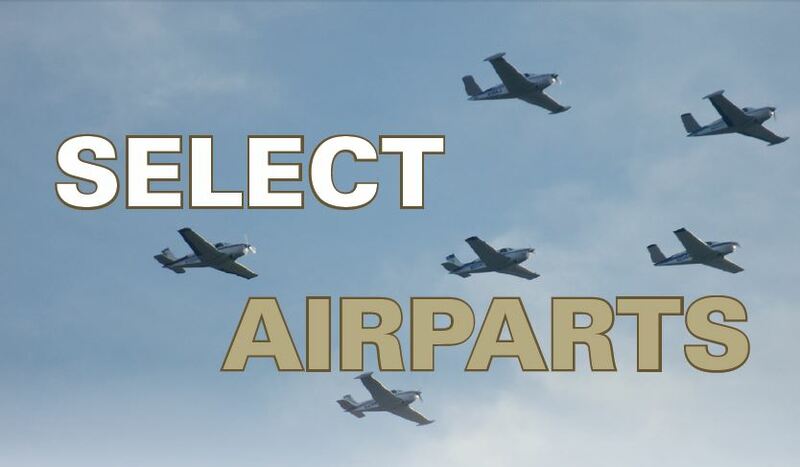 Select Airparts maintains one of the largest inventory of Beechcraft parts outside of the factory. With hundreds of thousands of parts to fit most Beechcraft models, from the Beech 18 to the latest King Air and Hawker jets, they provide quick shipping at very reasonable prices. Their inventory, whether new, overhauled or as-removed, is available for immediate quoting. Operating in a low-cost rural setting, they are able to pass their low overhead on by providing excellent prices for in stock material. Select Airparts’ outstanding customer service staff is ready to provide individual attention to your parts inquiries. Orders placed before 4 p.m. eastern ship same day. They make it easy to get the parts you need when you need them. In addition to their large inventory of ready-to ship items, Select Airparts is now able to offer repair services for a wide variety of Beechcraft products. Control surface repairs, landing gear overhauls including mandatory inspection items as well as NDT services are now available through an affiliated repair station. Control surface repairs for the entire Beechcraft piston family can be accomplished for both magnesium and aluminum skinned surfaces. Magnesium to aluminum conversions are available for some surfaces. Mandatory inspection and overhaul capabilities for King Air landing gear items have recently been added as well as a complete package of NDT services. Wheel and landing gear inspections and overhauls can be provided for most of the Beechcraft family. You’ll have peace of mind that things are done right by people who care about airplanes and their owners/operators. For outstanding Beechcraft quality and exceptional customer service, Select Airparts is the choice for your aircraft.